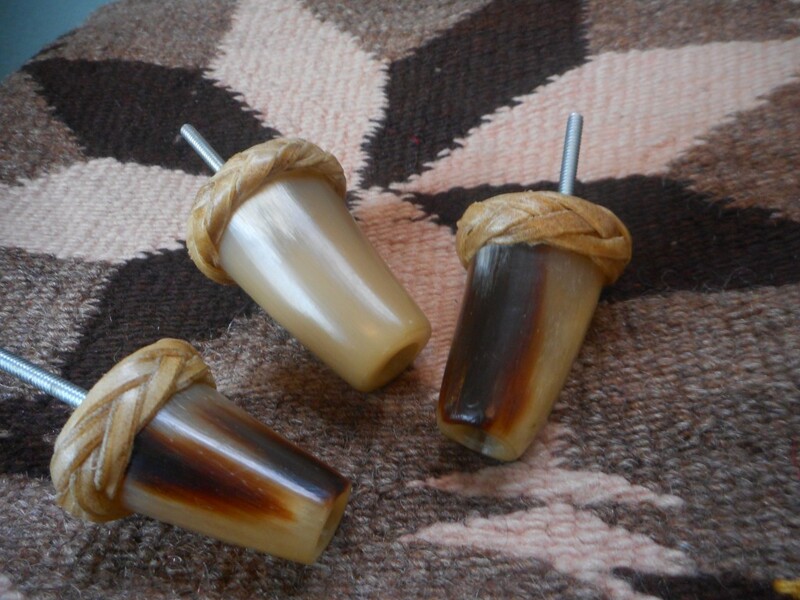 Three drawer pulls of polished horn, with rawhide wraps. Made by Coeur D'Alene artist Claude "Red" Hutchings, circa 1970. Red was a cowboy, miner, logger, and could run a 32-up team. He was recognized by the Idaho Commission on the Arts as a folk artist of Idaho, and died in 1977. The largest pull is 2" long, and 1 1/2" diameter at base. The other two are slightly smaller. Circa: 1970.